Last 2 loads went at US$ASK Metric ton delivered!! Export only. Rolls. Typical North American 11 pt. Manila and 20 Colors. "About 200 gsm" We have rolls available now during year 2018. Excess rolls with and without core damage. These are not transition rolls. Clean, dry, convertible. 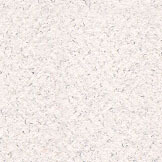 Nice, smooth finish; bright and dull colors suprisingly resistant and strong material. Converts and die cuts easily. 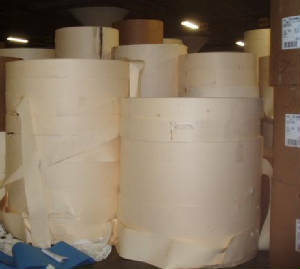 Rolls are either wrapped and capped, or we poly wrap the loose rolls. Uniform shade, though our converter clients tell us that slight shade variation is not an issue. 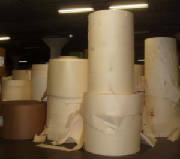 Great value added, difficult to find as stocklot product- ongoing from two US mills. 2018. Different colors. You can give a minimum width. We ll do a stocklist for you. Samples available for active clients. All 11pt. 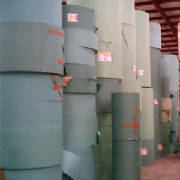 Wide range of widths. Excess stock. May have shade variations. Some reels are perfect but with damaged core. Various colors. North American mill. Made specifically for hanging file folders. Ongoing. Limited tonnage. Enough for several clients. Reserve now. Pricing reflects stocklot rolls discounted to 50% in given markets.